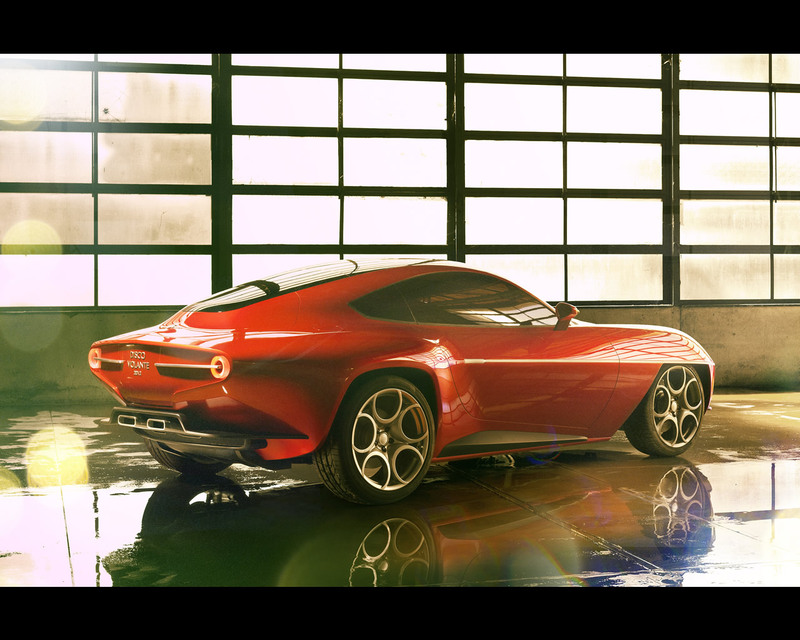 The Alfa Romeo Disco Volante Concept 2012 by Touring will be produced as a very limited series for discerning customers: collectors, sporting drivers and design aficionados with appreciation for a tailor-made car based on individual passion and taste. 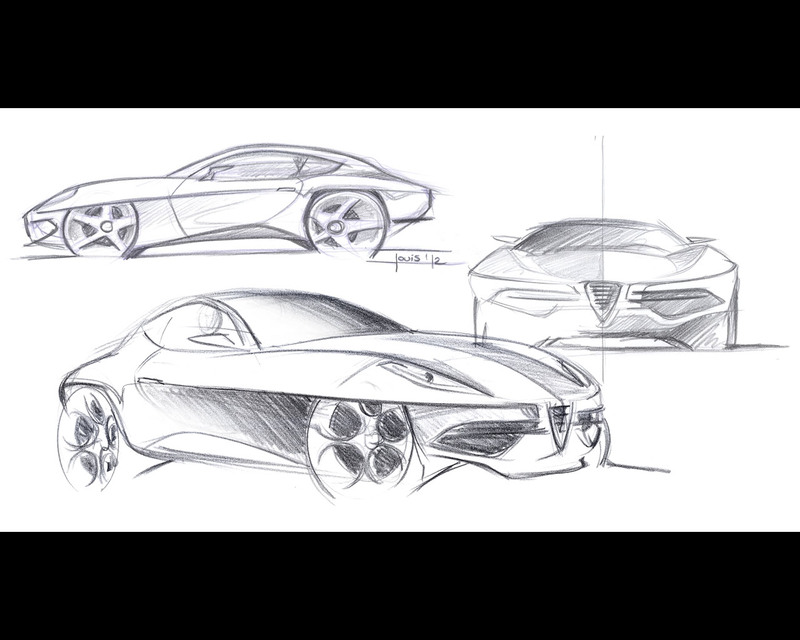 Using Alfa Romeo 1900 C elements, the car received a new aluminium crankcase, a new tubular chassis, and a very light, striking and efficient aluminium body. 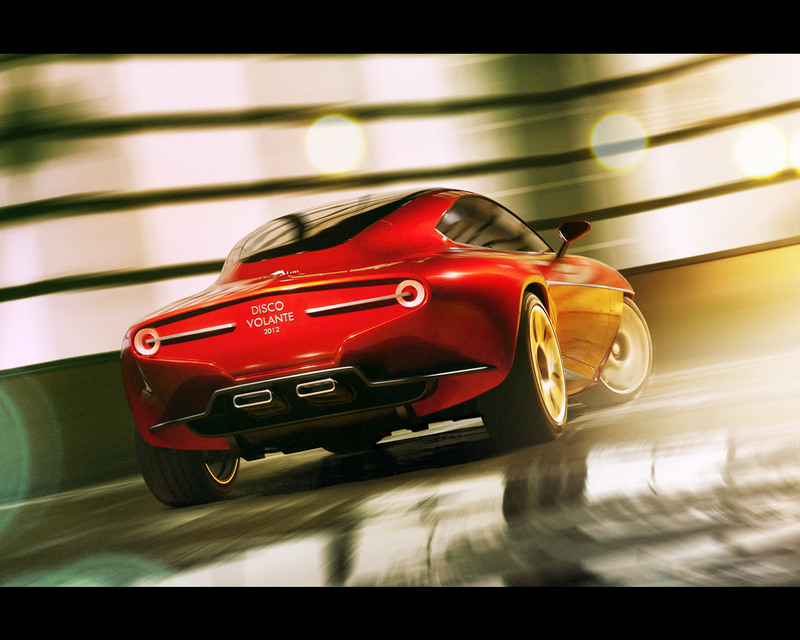 Initially aimed at races in the Sport category, the C52 Disco Volante soon reached the status of design icon. It is one of the most important models in the history of Touring, so innovative that it influenced the automotive design for decades. It also is one of the best examples to illustrate the credo of Touring’s founder Felice Bianchi Anderloni “Il peso è il nemico, la resistenza dell'aria è l'ostacolo" (weight is the enemy, air resistance the obstacle). 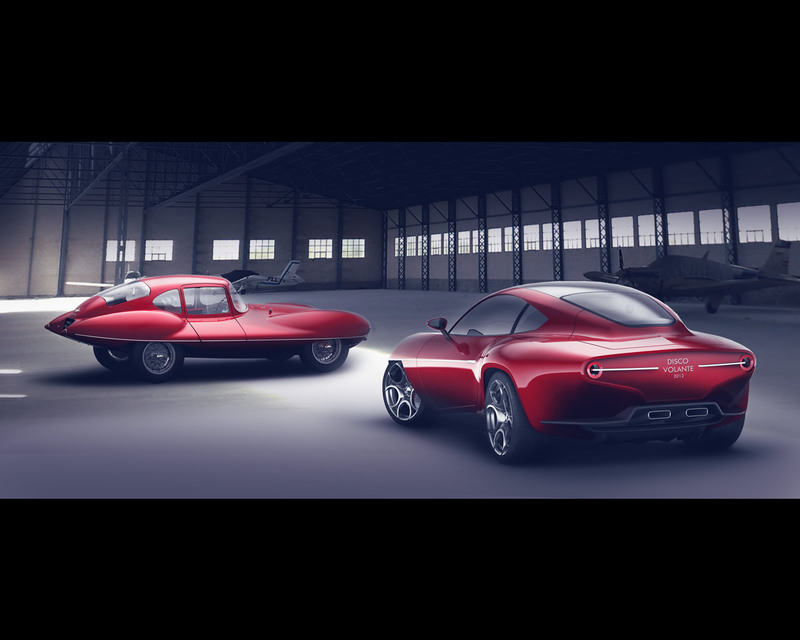 So significant is the Disco Volante in the history of automobile design, that Alfa Romeo has chosen this Touring design to celebrate its own 100th anniversary with a bronze sculpture now exhibited in Milan. 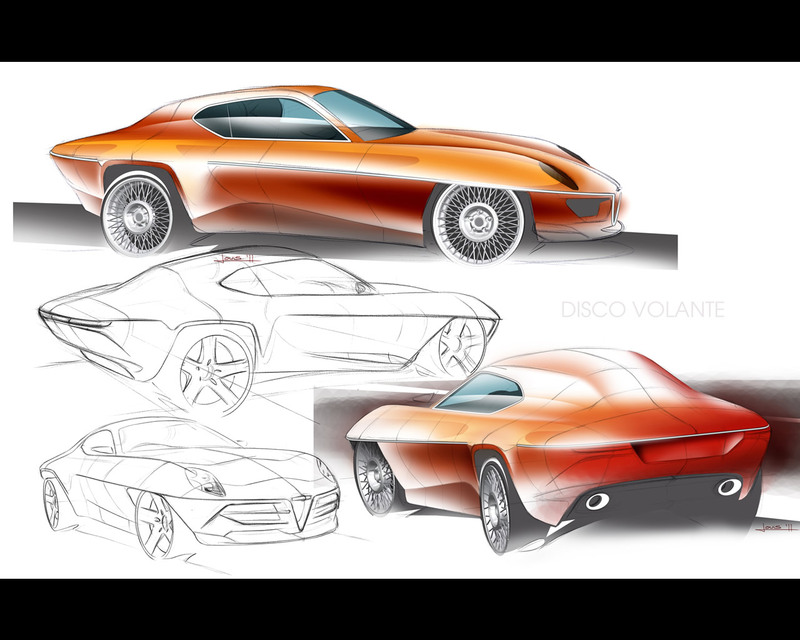 The Disco Volante 2012 design briefing required to blend ingredients as innovation, emotion and aerodynamic properties into a timeless and essential shape. 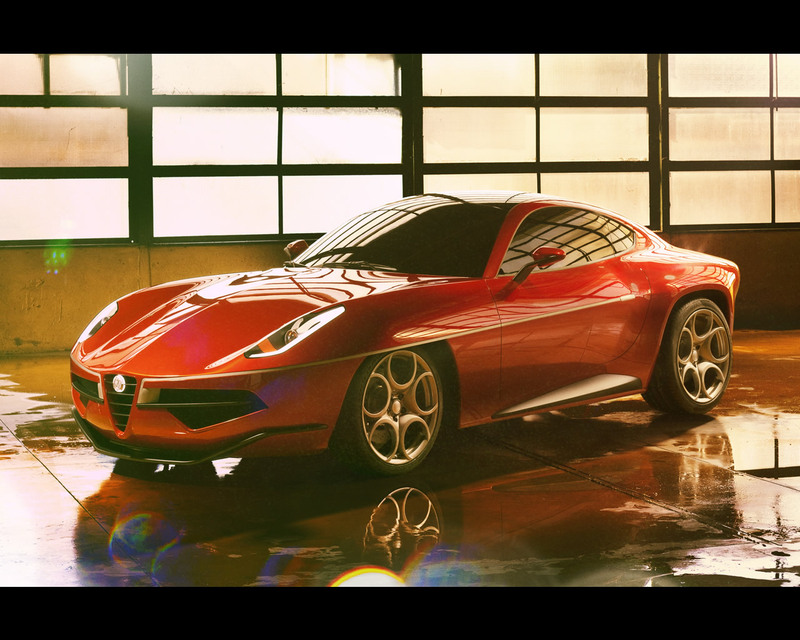 The design language is that of a sports berlinetta by Touring, in this case extrovert, clearly pronounced, and tempting. 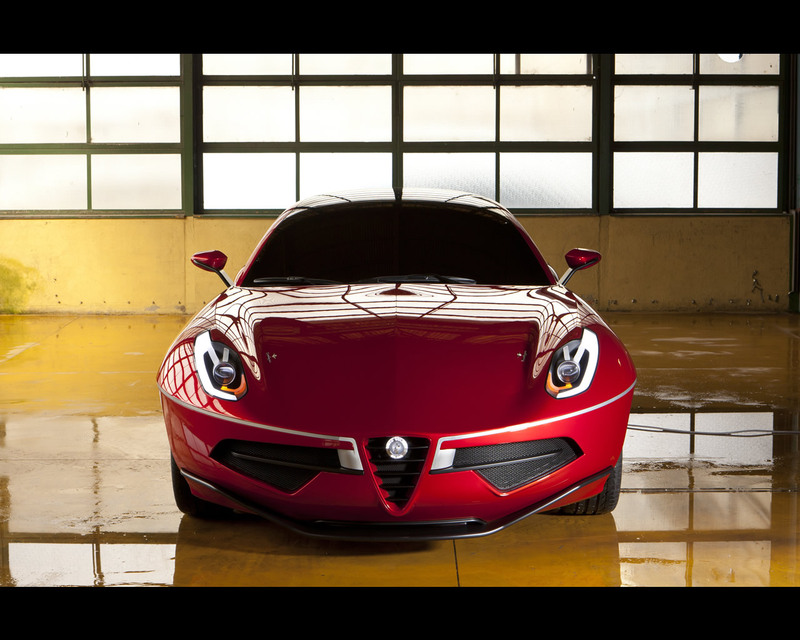 The integrated front bonnet and wings result in a dramatic monolithic frontal area, while the pronounced muscular rear end treatment leaves no doubts about the car’s intentions. 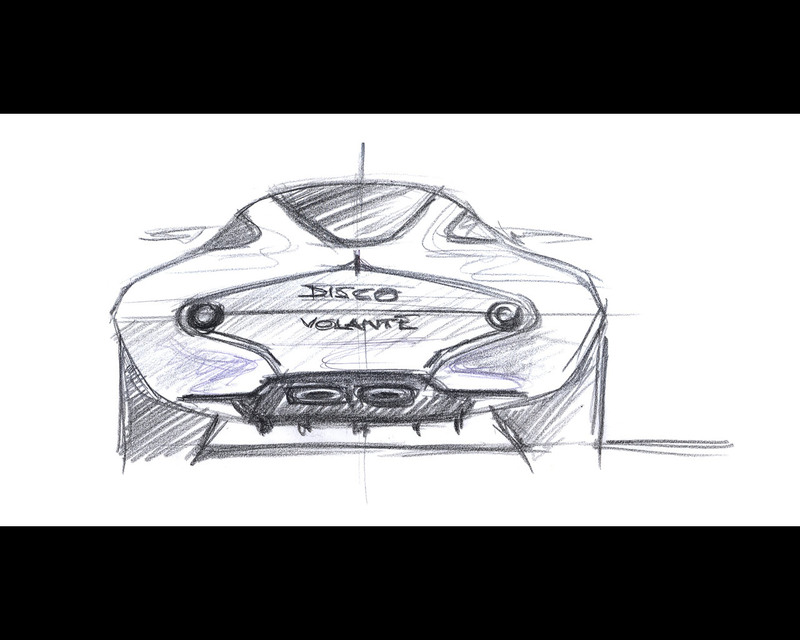 The overall teardrop shape reflects classic volumes with respect for aerodynamic values. Hints to the past can be found in subtle details, when aesthetical solutions were judged to be congruent with the new design. 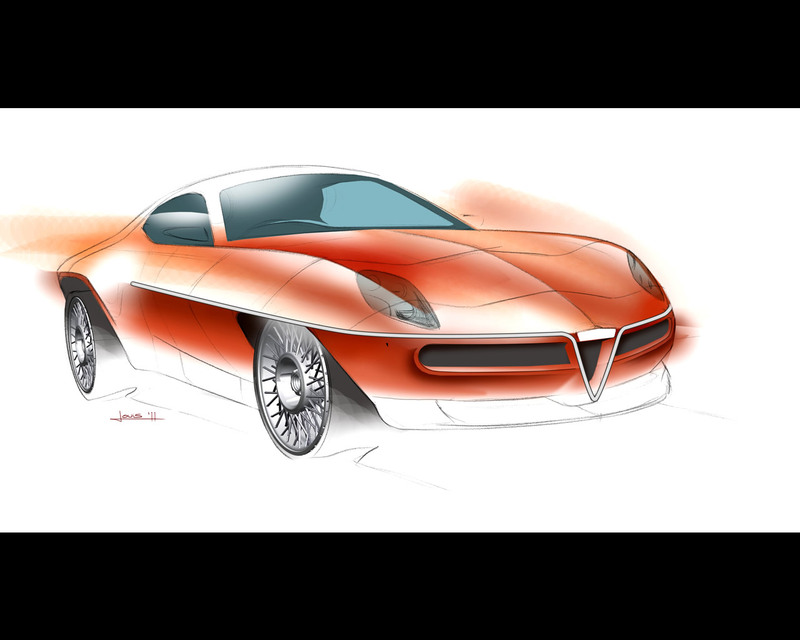 These include the pronounced waist line underlined by the aluminium profile, the partly covered front wheels, and the prolonged lines of the rear section ending with round shaped tail lights.. The final result is a rear-oriented design, with an extended rear overhang, a retracted greenhouse, and a limited front overhang. It combines power and elegance, integrating a balance between potent and fluid lines and the use of refined proportions in the best Touring tradition. 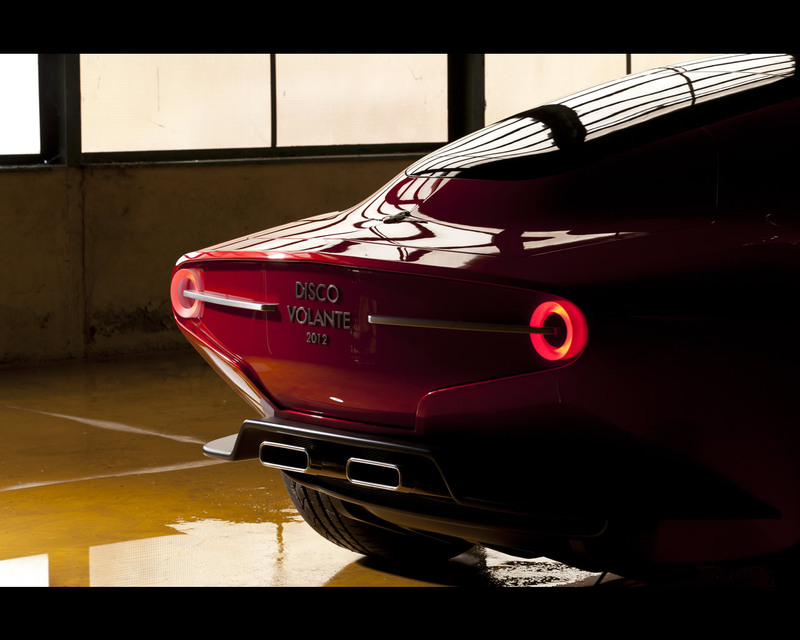 The hard points of the Disco Volante 2012 are dictated by the Alfa Romeo 8C Competizione chassis, chosen for its light and rigid structure and the outstanding dynamic properties. It forms the perfect basis to receive the totally new, coach built bodywork conserving integrally the rolling chassis and drivetrain. The front-central engine, transaxle transmission and rear wheel drive layout offers an optimal weight distribution of 49-51% between the front and rear axles. The steel space-frame is engineered for weight reduction and improved torsional stiffness. Further feature for top class handling is the front and rear double-wishbone suspension scheme combined with hub carriers of forged aluminium, and additional trailing arms for the rear suspension. The light and compact V8 engine with 4.7 litre displacement delivers 450 PS and 470Nm peak torque. 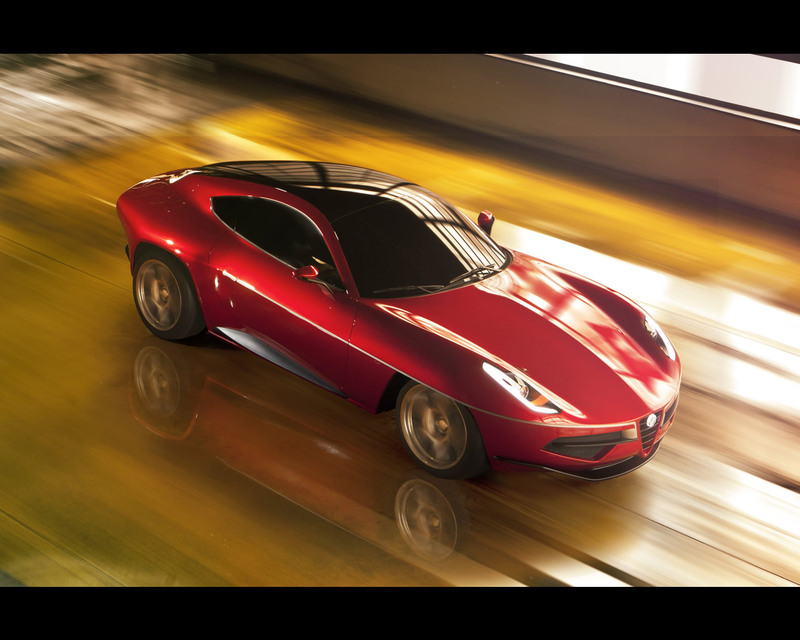 It is coupled to a 6-speed sequential transaxle gearbox with electronic control and paddle-shift gear selection. A limited slip differential and a state-of-the-art brake system with large diameter, ventilated discs complete the package to endorse precise, dynamic and proactive drive. 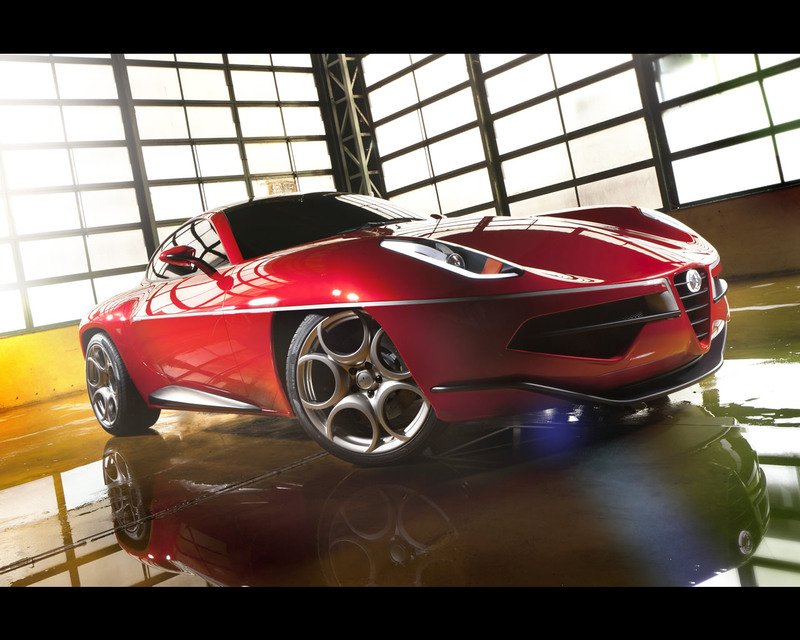 The Alfa Romeo Disco Volante 2012 is a tribute to the best Italian sports car philosophy: refined mechanics dressed with light and exciting bodywork. Prior to any construction phase at Touring, every new component is CAD designed and documented. 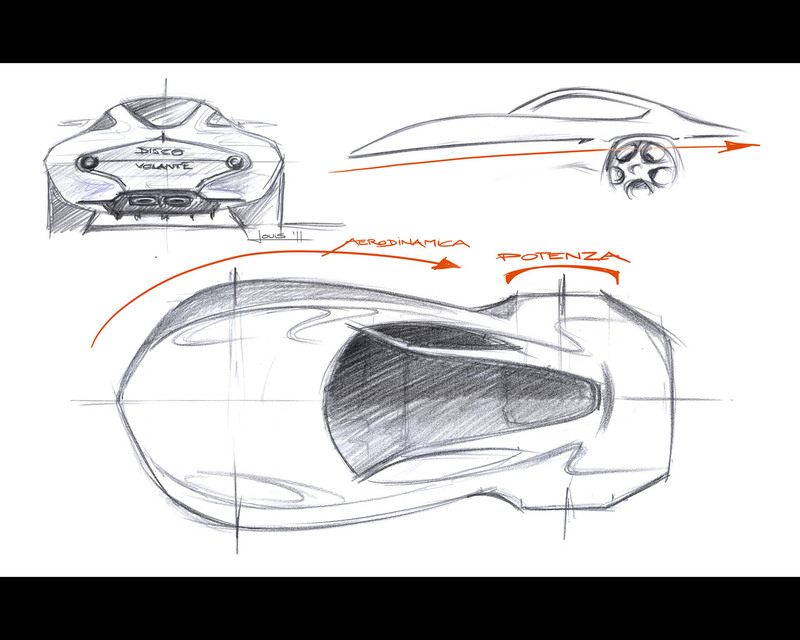 The meticulous engineering programme covers feasibility, safety, homologation, aerodynamics and structural analysis. In this process, the most advanced IT tools and simulation techniques are used. Special attention is paid to the underbody structure, a critical factor for quality, torsional stiffness and noise reduction. Touring has preserved and developed the use of hand-beaten aluminium panels. Today, this traditional way of shaping body parts responds not only to the design requirements, but also to the strictest precision standard. 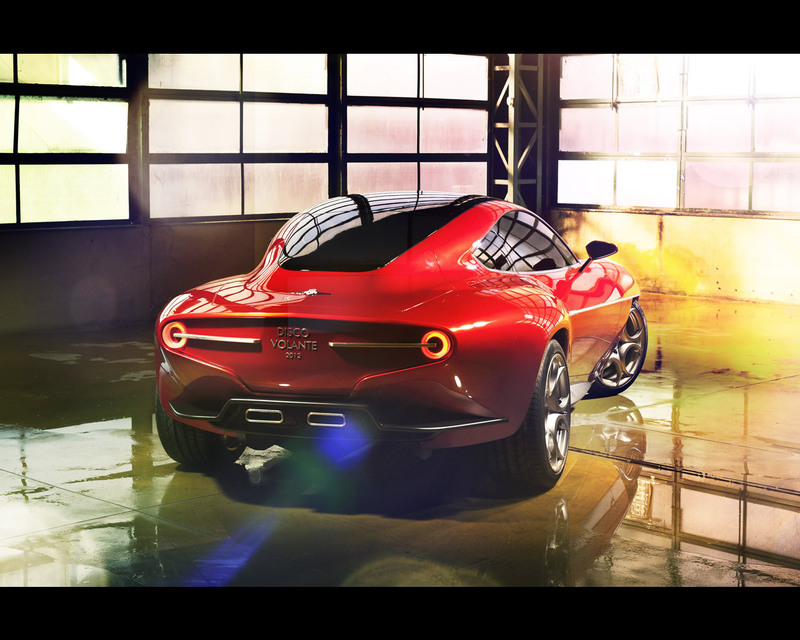 The weight advantage of aluminium is one of the assets of Touring Superleggera's construction methods. However, carbon fibre is used for specific components such as bumpers and a number of substructures for further weight saving and strength gains. The entire manufacturing process is fully documented and digitally logged, to guarantee consistent quality levels and accurate reproduction. 3-dimensional reference and measurement tools are used to ensure the highest precision in the assembly stage. Many key detail components and ornaments are entirely manufactured by hand. The original 8C interior is basically maintained, but modified and upgraded according to the personal preferences and taste of the customer – as an exponent of Touring’s automotive tailoring philosophy. Each unit requires more than 4,000 hours of highly skilled artisan and engineer work to be completed. 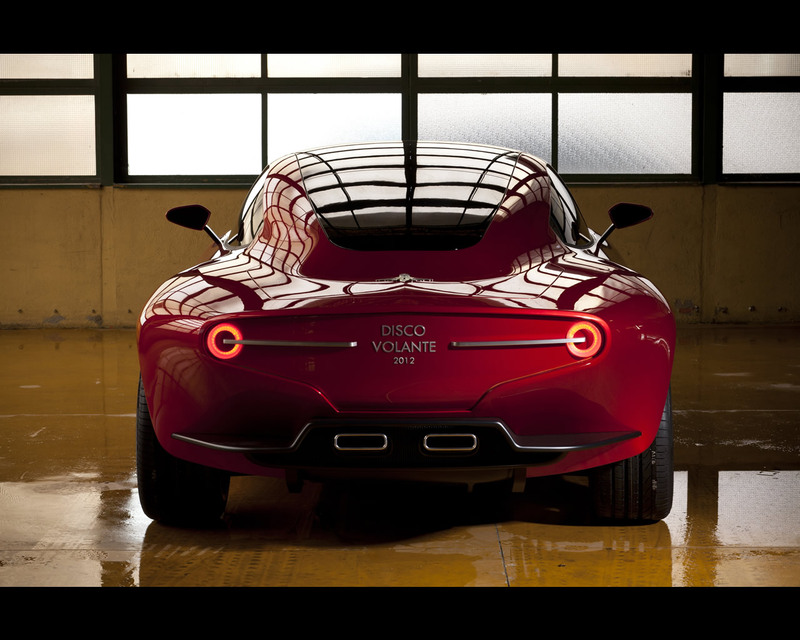 The delivery time for a Disco Volante 2012 is eight months after the reception of the donor vehicle. Driveline 6-speed, electroactuated sequential gearbox with paddle-shift control and automatic mode. Limited slip differential.